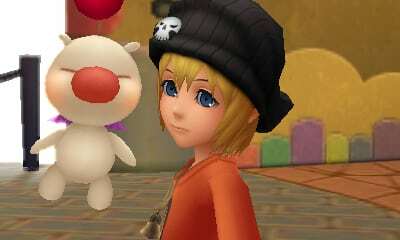 The English version of Kingdom Hearts 3D: Dream Drop Distance is further showcased within these latest screens. Square Enix have detailed that these are taken from a point in the game at which, having entered the Sleeping Worlds to complete the Mark of Mastery exam, Sora and Riku arrive at Traverse Town which is the first key playable world within the game. Here, they encounter the Dream Eaters, as well as meeting Neku, Shiki, Joshua, Rhyme and Beat, a group of characters from cult Nintendo DS title The World Ends With You. Yesterday brought news that a demo would be released within North America. Kingdom Hearts 3D: Dream Drop Distance will launch for Nintendo 3DS across Europe on July 20th, and North America on July 31st.